The Veggielante has had it up to here with people bitching that St. Louis restaurants are vegetarian unfriendly. Sure, we'd like to see more restaurants offering more meatless dishes, but there are excellent choices out there if you take the trouble to look for them. We're not here to proselytize about greening up your diet. Our only motive is to spread the word about places where you can order good grub that ain't got no meat. To enhance your reading experience, we've settled on a handful of criteria we'll use to suss out a restaurant's vegetarian friendliness. Indian cuisine is known for its spices, distinctive blends of flavor and a whopping number of traditional vegetarian dishes. Gokul Indian Restaurant (6101 Delmar Boulevard, University City; 314-721-1888) lives up to that reputation and then some. 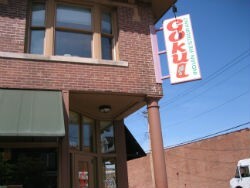 Gokul is a 100 percent vegetarian restaurant that offers both a set menu as well as an all-you-can-eat buffet. Its menu also caters to vegan and dairy-free diets. Each Monday night the buffets at both locations are completely vegan-friendly. The restaurant's larger location is located in the Loop, while the other is not too far away on Page Avenue. Because the buffet is entirely vegan-friendy, it's a no-brainer to plate up at Gokul, but that doesn't mean certain dishes don't outshine others. Fill up on protein with the "Chhole Puri," which is chickpeas slow cooked in herbs and spices, or pump iron with the "Saag Paneer," a creamy sauce made with homemade cheese and spinach. 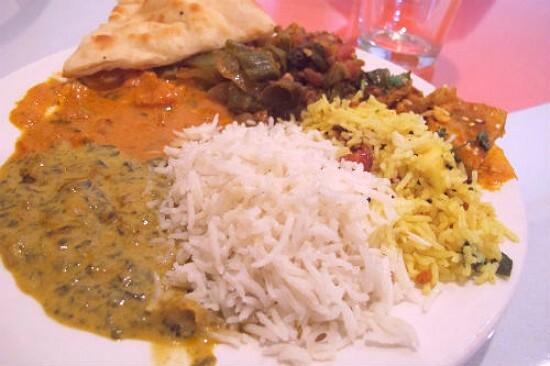 The "Vegetable Korma" is packed with a variety of vegetables swimming in a tomato sauce and the "Yellow Daal" offers lentils cooked in a unique blend of spices. There are always heaping portions of long grain basmati rice or specialty blends such as lemon-herb rice available along with naan to soak up every drop of the rich, spicy sauce. The buffet is always stocked with no less than ten main dishes as well as several sides such as spiced potatoes or desserts including "Kheer" (rice pudding) and "Gulab Jamun," milk pastry balls served in syrup. Be sure to go back as many times as your stomach deems necessary, though it doesn't take more than one trip to justify the buffet's $6.99 price tag. The flavorful, meat-free eats and low prices make Gokul an excellent choice for vegetarians and meat-eaters alike, while the buffet allows those who are new to Indian cuisine to sample a variety of dishes.